Our first Winter League (WIOL & Winter O’) meet of the year on Nov. 3rd featured over 380 starts. 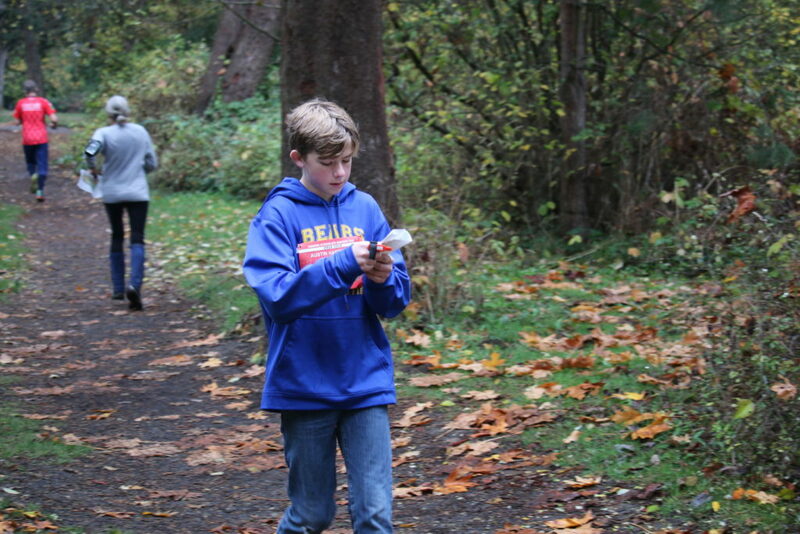 With SAT testing and the Cross Country State Meet in the rear view mirror, Winter League #2 should boast even more runners out in the woods having fun and finding controls this Saturday (11/17) at Hamlin Park in Shoreline. Thanks to course designers Dave Dummeyer and Brett Buchholz for designing great new courses for this upcoming meet. It’s not too late to join the fun! Click here for more info.